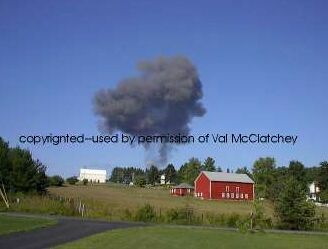 As I've shown, the smoke plume in her photo is way to big to have come from the alleged crash spot. 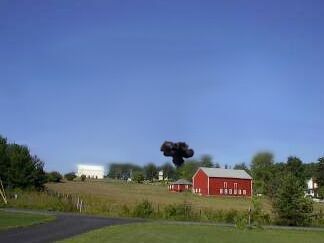 Val says she snapped her photo about 5 seconds after almost being knocked off her couch from the explosion. Wind gusts near the crash spot were only 9 knots blowing SE. "Now that's a friggin' mushroom cloud there!"